PAN Yoruba organisation, Afenifere, has condemned last Saturday’s attack on voters in Ago Palace way, Lagos, while voting in the presidential and National Assembly elections was ongoing. In a statement signed by its spokesperson, Yinka Odumakin, the organisation described the violence unleashed on voters and officials of the Independent National Electoral Commission (INEC) at Ago Palace Way and other areas dominated by the Igbo as barbaric and unfortunate. During election, thugs suspected to be members of the All Progressives Congress (APC) and Oouda People’s Congress (OPC) were seen in the company of one of the leaders of the National Union of Road Transport Workers (NURTW) disrupting the voting process, snatching ballot boxes and burning ballot papers in full view of voters. As early as 9:00a.m on Saturday, there was massive voter turnout in Ago, Amuwo Odofin, FESTAC and Oke-Afa. But, between 10:00a.m and 11:00a.m, thugs started arriving and from one polling unit to the other, burning ballot papers and ordering voters, most of whom were of Igbo extraction to leave the polling units or face deportation. Reacting to the crisis, Afenifere appealed for calm, while accusing those it described as political merchants for being responsible for the violence that broke out. “We condemn, in the strongest terms, the political violence visited on Nigerians of Igbo extraction in Lagos, during Saturday’s presidential election. “Dirty political merchants and their band of thugs apart from engineering political disenfranchisement of the Igbo, went ahead to visit violence on them and burning their votes en masse. “The political vandals they used were said to have been calling themselves OPC, but our checks with the genuine leaders of the group have shown they had no affiliation with the OPC known by Afenifere. “We frown at the failure of the security agencies to give adequate cover to Ndigbo in the affected communities as these thugs went berserk carrying out the instructions of their sinking political godfathers. 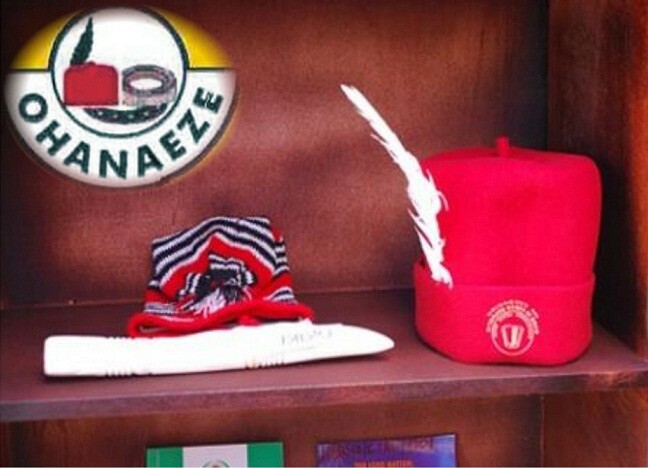 “We want to assure our Igbo brothers and sisters that the bond of friendship the Afenifere and Ohanaeze Ndigbo have built, particularly, under the dynamic leadership of Chief John Nwodo, remains strong and will not be broken by the nefarious activities of a few strange children in our midst. “We are already in discussions with the Igbo leadership on the matter and we appeal for calm as the political vandals are only engaged in death kicks. “We call on the security agencies to give adequate security cover to the Igbo in subsequent elections, as we encourage them not to succumb to intimidation and harassment by political vampires . “Our historical connectivity with Ndigbo will survive the Saturday’s madness and the perpetrators will be shamed eternally,” Odumakin said. In a related development, OPC leadership has denied that one of the thugs, simply identified as Demola, who was caught burning ballot papers and was beaten by voters, but was later rushed to the hospital by Ago residents, is a member of the organisation. OPC Publicity Secretary, Yinka Oguntimehin, said the man killed by the mob, yesterday, at Okota, Lagos, was not a member of the Aare Gani Adams-led OPC. Oguntimehin said: “The report at our disposal indicates that a member of the late Frederick Fasehun’s group was beaten by an irate mob, following an attempt by some thugs to disrupt election process at the Okota area of Lagos state. “I need to say it clearly that Ademola is not a member of our group. Ours is a group of professionals and well educated members. Meanwhile, Demola has been confirmed to be alive. After a video showing him being hurled with stones went viral last Saturday, there were reports that he did not survive the ordeal and residents in the area feared reprisal. But, in a recent clip seen by Daily Sun, he was seen lying on a bed with blood soaked bandage covering his head receiving treatment after being rushed to the hospital by some Ago Palace Way residents.